by Eleanor Noss Whitney, Ph.D., R.D. Very Good. 0534590047 May have light shelf wear. Very Good. 1133587526 Multiple copies available. No excessive markings and minimal highlighting. CD Roms, access cards/codes, and other supplemental materials may or may not be included based on availability. Books by Eleanor Noss Whitney, Ph.D., R.D. 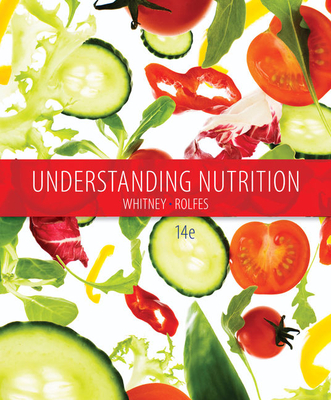 From beginning to end this is an excellent book on basic nutrition. This is a *MUST* have. Everything about nutririon, metabolism and dieting. I have the seventh (1996) edition, and it's GREAT. Almost 1000 pages, packed with information, photos, pictures, sidebars, appendixes ... Very clearly and visually explained.